124 Pages. A single copy of the Winter 2014 issue of the PWC Newsletter featuring the 2014 National Specialty, including 103 pages of color specialty coverage and ads. Chronological color coverage of the National Specialty, “Bluegrass Bow-Wow,” includes an overview of the week-long event by Show Chairs Gerald Kyle and Bruce Coyne. Informative articles covering the Performance and Companion events follow, with Cindy Traylor covering the Herding Trial, Jane Glier reporting on the Agility Trial, Anne Moore on Obedience and Heather Lampman reporting on Rally. National Coverage includes photo collages of all the events, beginning with a report on the Welcome Party, which featured a champagne toast to the memory of Kay Hammel, to whom this specialty was dedicated. Other event coverage includes the “Hoedown” and the Banquet and Silent Auction. Critiques and collages are provided for Puppy and Veteran Sweepstakes, Regular and Non-Regular Classes and Junior Showmanship. A report on the Peer Education seminar on cancer in corgis given by Dr. Marcia Carouthers rounds out the specialty coverage. 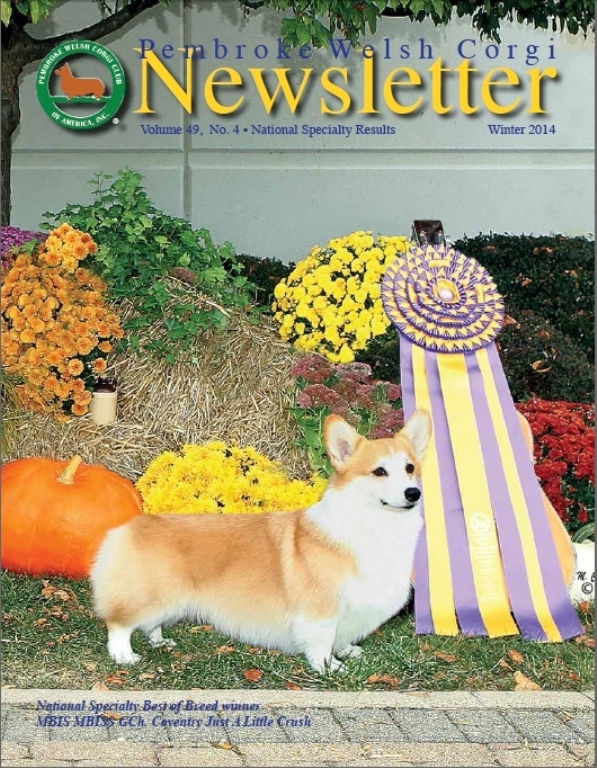 The Regional Talebearers reports include a Spotlight on the Pembroke Welsh Corgi Club of The Western Reserve with photos. Calendar of Events, PWCCA Business information, Regular Editors’ Columns and color and b/w ads featuring PWCs. Available only as long as supplies last. Please choose "Domestic" or "Foreign" shipping in the Price Options dropdown menu.